Following graduation with a BBA from Acadia in 1971, Ronald E. Smith began a 16-year career in public accounting. In 1987, he became Chief Financial Officer of Maritime Tel and Tel, a predecessor to Bell Aliant, and later served as CFO at Emera Inc. until his retirement in 2005. 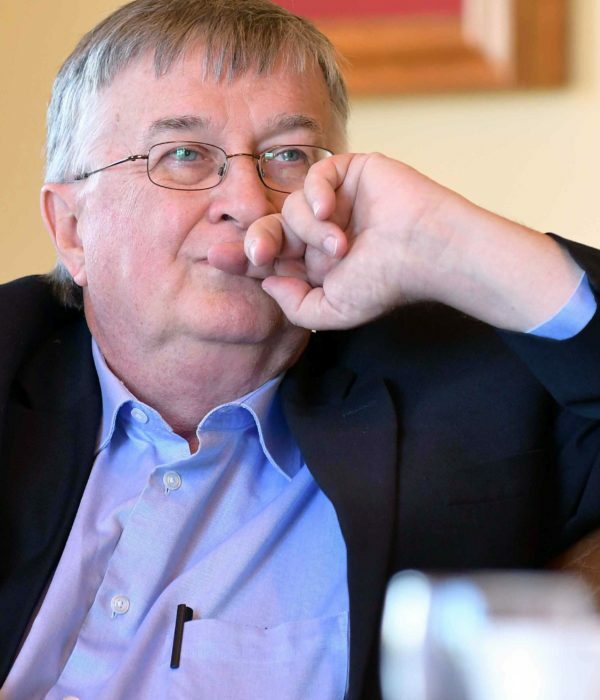 Smith has served, and continues to serve, on many corporate and not-for-profit boards, including five years as Chair of the Acadia Board of Governors. Ronald E. Smith (’71), FCPA, FCA, ICD.D, has served on many corporate and not-for-profit boards over the past 30 years, including five years as Chair of the Acadia Board of Governors. His public-service record is impressive. Besides serving on the Acadia board for 24 years, he is currently Vice-Chair of the IWK Health Centre, Chair of Nova Scotia’s Public Service Superannuation Plan Trustee Inc. and national Past Chair of the Arthritis Society. Smith and his wife, Beverly (Cottreau) Smith, both graduates of Yarmouth Consolidated Memorial High School, have funded the Ronald E. Smith Scholar-Bursary at Acadia. The scholar-bursary is awarded on a renewable basis to entering or returning students on the basis of financial need and academic performance, with preference given to students from Yarmouth County who have demonstrated leadership qualities. After graduating with a BBA from Acadia in 1971, he began a 16-year career in public accounting, focused on insolvency and restructuring assignments. In 1987, Smith became Chief Financial Officer of Maritime Tel and Tel, a predecessor to Bell Aliant, and later served as CFO at Emera Inc. in the early 2000s until his retirement in 2005. In recognition of Smith’s career achievements and service to the community, CPA Nova Scotia (the Chartered Professional Accountants of Nova Scotia) awarded him the FCPA designation, the profession’s highest mark of distinction.